Matthew Currell does not work for, consult, own shares in or receive funding from any company or organization that would benefit from this article, and has disclosed no relevant affiliations beyond their academic appointment. This week’s court ruling on the future of the A$6.4 billion Alpha Coal project in Queensland – set to be one of the biggest coal mines in the world – is of major significance for how mining projects are assessed in Australia. Erring on the side of caution, the Queensland Land Court recommended on Tuesday that the mine proposal either be rejected by the state government, or else only be allowed to proceed with extra conditions to protect groundwater. In an unusually complex decision, explained over 149 pages, Land Court member Paul Smith concluded there were serious uncertainties about how the mine would affect the region’s groundwater and local land owners. On that basis, he recommended that extra conditions should be met before the mine goes ahead. These include extra water level monitoring on the properties of three families that objected to the mine, and that Hancock obtain water licenses and enter into “make-good agreements” with those potentially affected. The government’s decision on how to proceed in light of the court’s findings is a critical test for how seriously it takes communities’ concerns over impacts of mining on long-term water security. The court’s finding is significant in the bigger picture, for several reasons. It appears to raise the legal bar for protecting groundwater, in the context of a large number of major mining proposals currently under assessment. It acknowledges that uncertainty about potential impacts on groundwater are cause for taking a precautionary approach. It is also likely to be influential on future decisions, because Alpha Coal mine is a keystone project for the mining industry, which it hopes will unlock the Galilee Basin up to massive new coal mining development for decades to come. If built, GVK Hancock’s Alpha Coal project in central Queensland’s Galilee Basin would aim to produce 30 million tonnes of coal a year over three decades, from six open-cut coal pits stretching over 24 kilometres (shown in the map on the right). The project is predominantly owned by Indian company GVK, with a 79% share, while Gina Hancock’s Hancock Prospecting holds 21%. As well as the A$3.4 billion mine, a new A$3 billion, 500 kilometre rail corridor to transport coal from the nine proposed mines inland all the way to the controversial Abbot Point export port is also contingent on the Alpha mine going ahead. 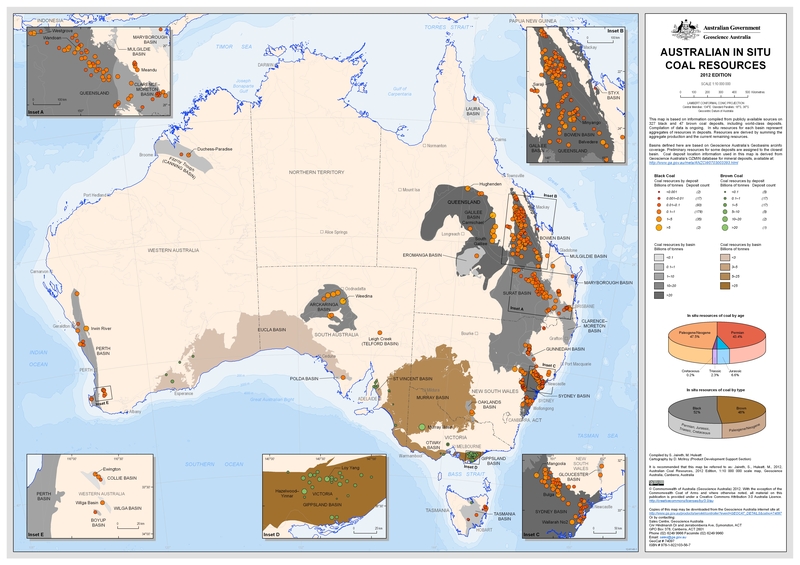 In combination, Alpha Coal and other proposed new mines in the Galilee Basin would become the largest open-cut coal mining district in Australia, possibly the world. The ramifications of Alpha Coal going ahead therefore go well beyond this one project. In the environmental assessment documents prepared for Hancock GVK, groundwater modelling was used as the basis to predict impacts of the de-watering required to excavate the open-cut mine pit. Four expert witnesses were extensively questioned about their understanding of the hydrogeology of the area, and about the validity of the predictions made on the basis of the model. While it was agreed that the modelling was conducted in accordance with industry best practice, it emerged that there were serious uncertainties in the model’s assumptions and predictions. Ultimately, it was found that there were assumptions made that were not based on conclusive field evidence. This particularly regarded the location and rates of groundwater recharge, the geological structure and its control on groundwater flow, and the scale of off-site impacts of the mine on neighbouring areas. The latter point would seem to be an obvious concern to address for all mining projects. This is particularly true for the Galilee, where it is known that multiple mines are proposed in close proximity and that their cumulative impact may go beyond that of any individual mine site. My concern relates principally to my lack of confidence, from a precautionary perspective, in the groundwater evidence and, because of that, my concerns regarding the knock-on effect to ecology should the predictive groundwater modelling relied on by Hancock not be correct. The decision may prove to be a strong precedent for adopting a more cautionary approach to impacts of mining on groundwater. While the same principle has been applied in smaller scale disputes about groundwater, it has not been applied to a project of this size before. Clearly the Land Court understood in this case that groundwater models are not crystal balls that can unequivocally predict the scale, time-frame and magnitude of impacts. Rather, they are an aid to assist with understanding how a groundwater system works and how it may respond to change. Models may provide a range of potential predictions of impacts under different scenarios, but this is contingent on them being built on the basis of extensive field data and observation. A central problem with the approval process for mining projects remains that this type of detailed field data (such as baseline groundwater monitoring over an extended period) is typically absent or inadequate at the stage when mining environmental impact assessments are completed or approved. Mr Smith also made an important comment about the Land Court’s role in the environmental approvals process, stressing that the court was not – as was suggested at one stage – simply a “rubber stamp” for major projects already approved by the state co-ordinator general. The rigorous scrutiny applied in this case means that the court’s conclusions on a precautionary approach on groundwater – which is so vital to so many – should be taken seriously elsewhere for other projects seeking environmental approval. If it is not, then the lack of confidence many communities already have in environmental assessment processes will be undermined even further.